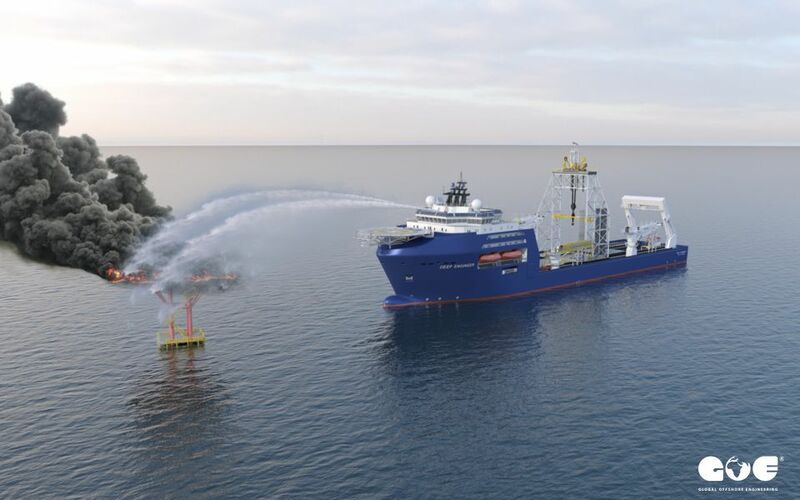 The Universal Subsea Support Vessel (USSV) is a new breed of modern supply vessel ideal for support of any offshore activity. 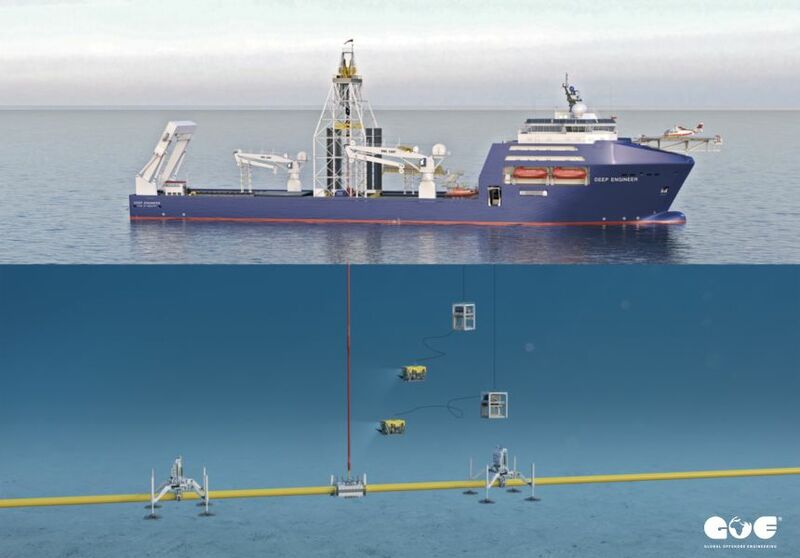 The vessel in characterised by the crew accommodation and helideck located at the bow, ROV storage garage with hatches on both sides and a ROV moonpool in centre. 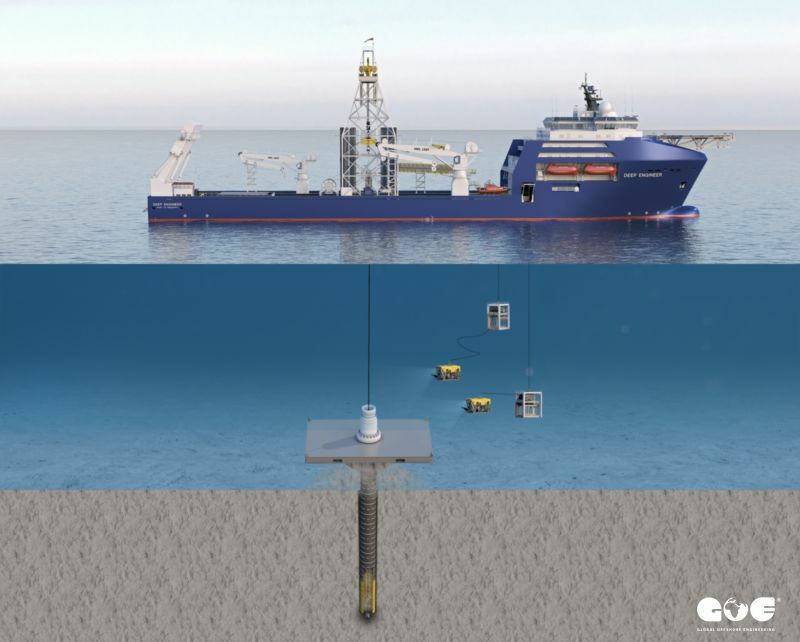 At midship, there is big moonpool used for the deployment of various subsea installations. The stern of the vessel is reserved for a stern pool with closable watertight doors used for docking the tender vessel or barge. Power generation is achieved by the use of 6 main 3500 kW generator engines rated and an emergency 600 kW generator. The vessel is a DP3 class, with station-keeping capabilities achieved using 2 Voith Schneider propellers located at the aft side along with 2 tunnel thrusters and 1 Voith Schneider propeller at forward side. 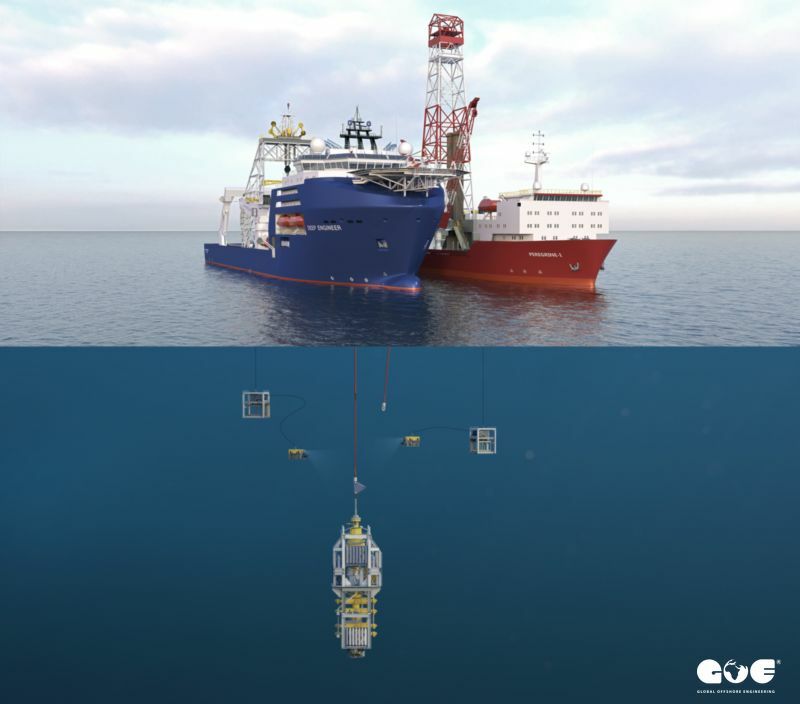 Other equipment on the vessel is a specially designed drilling derrick enabling skidding from the forward to the aft side in order to facilitate heavy transport of up to 600t, and handling and deployment using a central moonpool. Equipment handling is performed using 2 knuckle boom cranes on deck and an A-frame installed on the stern. 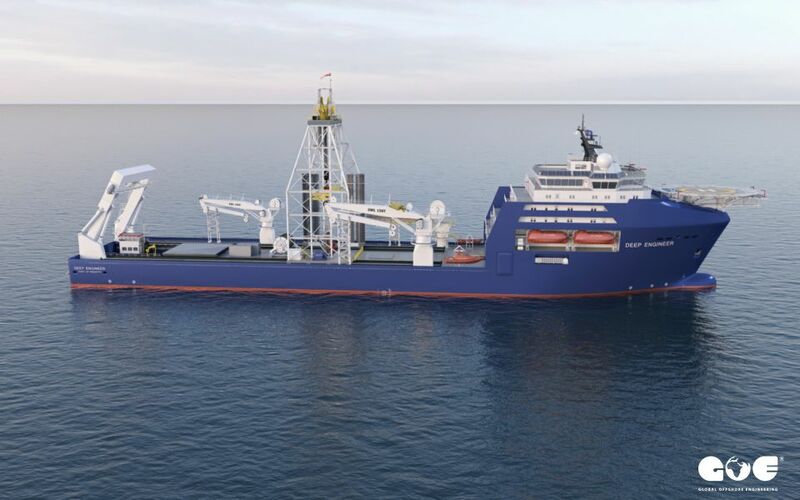 The vessel is equipped with a heave-compensated gangway for the transport or evacuation of personnel in case of emergency intervention. Accommodation is designed to include up to 300 bunks, with luxury suits and offices for third-party service providers. The USSV is equipped with various workshops providing a wide range of possibilities for fabrication, refurbishment and overhauling on site. onsite integrated project engineering and fabrication.